I awoke this morning in London, Thanksgiving in the US today, to the sad news that Sleazy (Peter Christopherson) had passed away last night in his home in Bangkok. Peter’s influence on my life is in no way small. As a teen I discovered Coil and Throbbing Gristle in the late 80s. As much as TG and Psychic TV entered into my conscious Coil’s work somehow managed to delve even deeper, into my subconscious and beyond. Coil was proof that music could possess the power of magick. I was reading Crowley and Levi when I first heard Coil, and it stands still today as the perfect soundtrack to the act of ritual magick. As time went on I discovered that Peter was doing other things, visual things, that had been influencing me even before and certainly after. His work as a designer for Hipgnosis inspired me as a painter and over time (through the late 80’s and early 90s) I came to realize that he was the director of many of the music videos that I loved and found inspirational. His work with an astounding array of artists pushes boundaries, has found itself banned in countries and was the perfect fodder for my youthful mind. In many ways his work would draw me to become a filmmaker, and thus to complete the circle from magick to music to film and back that has been the centre of my creative cycle throughout my life. In 2009 I curated a festival in London centered on the idea that ritual magick is a powerful creative force, and the festival explored the ways in which the creative world and the magickal world overlap. I can say with certainty that my creating this festival came directly out of my love for Peter’s work. As the festival came together I was overwhelmed when Peter reached out and asked if he could be on the lineup. I had wanted to ask but figured with all the TG happenings it would be impossible. Peter was kind enough to not only ask, but to be involved with the catalog and to contribute his own funny and inspiring thoughts on how spiritual ideas inspire us to create. Two weeks ago I presented Peter’s work as part of a program I curated in Copenhagen at the CPHDOX film festival. Peter directed about half of the films in The The’s Infected. In the Q&A we spoke about his far ranging films, his ideas, and his involvement in Matt Johnson’s work. Though it seems Peter has been around forever he was not really that old in today’s world. At 55 he had done more than 5 people his age but could have lived to give the world so much more of his ideas, energy and inspiration. It is with a great deal of grief that I find myself in London on this grey Thanksgiving. Yet through this grief I am incredibly thankful that Sleazy lived, that his work continues even after his death, and that the world is a much more interesting place for his having lived here. Thank you Peter, for everything you have given us. I hope to meet you again in your next incarnation. This is Peter’s article for the Equinox Festival catalogue. Combining the Sacred and Profane. 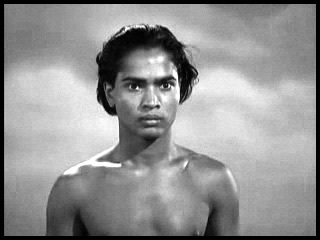 In the 1940 version of the movie “The Thief of Bagdad”, there’s a scene in which the teenage Sabu, playing the charming street-boy of the title, is wandering lost in the desert when he sees an ancient encampment materialize in front of him. Inside, the unsuspecting lad is welcomed as a Prince, and told they have been waiting two millennia for him to come. The white bearded old King tells the boy he will inherit everything in his Kingdom, except for one thing – a magic carpet, which the old man is keeping to carry him to Paradise. Sabu only wants to save his friend who is due to be executed in Bagdad at any moment, and so (with the old King watching knowingly from shadows) the lad plans to steal the carpet which can carry him to Bagdad. Of course, it lifts into the air and carries him off to save his friend in the nick of time. 2. That society’s outcasts, thieves, deviants – prostitutes, even – have as much access to these forces as the rest of us, probably more so – In other words, as you approach the edges of the ‘bell curve’ of what society considers ‘acceptable’, only then does the panoply of other worlds beyond this one, start to come clearly into view, into reach…. 3. That an open heart, generosity of spirit, even Innocence – not in the Christian moral sense, but in the sense of freedom from an adult’s cynicism, greed, ‘sophistication’ – really goes a long way, when it comes to asking for things from “Them Upstairs”! Limited edition Framed photograph of Boy Prostitutes with animated LED Buddhist Prayer light. Copyright Peter Christopherson 2009. For details go to: http://www.sacred-profane.com . I can tell you from numerous experiences I have had in the last few years that the sight of Thai boy prostitutes (whether dark skinned, tattooed and scary or small and gentle-looking), going to the Temple to make offerings and pray sincerely for one’s well-being, is enough to tip me over the edge, into a kind of Spiritual Euphoria at least as strong as any drug I have ever taken (and there have been many), and longer lasting. It may last forever, for all I know. I hope so. All this life at least. It is the heady cocktail of both Sacred and Profane, shaken or stirred, that gets me every time. We are all at our own points on the path to Nirvana. I accept that later I may loose interest in, or rise above, the cravings of earthly desire, or the obsession with Epicurean delights. However, for now I remain captivated by those kids whose wisdom and kindness, belies their street level existence, their most ancient and intimate of professions, and their tender years (legal note: 18+ of course ,-)! Brooklyn NY, April 28th 2009.